Dr. Jelena Vladikovic doesn’t remember what she played at her first solo recital under professional artist management 50 years ago. She said she just remembers all the faces and being amazed that all those people showed up to watch her perform. 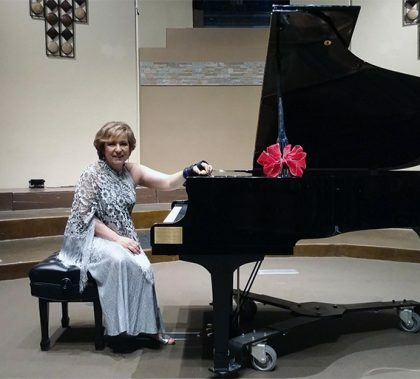 The Grand Canyon University professor of piano will celebrate those 50 years of performances with a recital Friday that will feature works by Scarlatti, Mozart, Liszt and Prokofiev. Improving your health is a matter of setting goals. Connie Colbert offers some suggestions for what those goals should be and demonstrates how to make this happen. Dr. Deb Wade has a Top 10 list that every parent can use: how to be more effective in what for many people is the toughest job they’ll ever have — and the most rewarding. 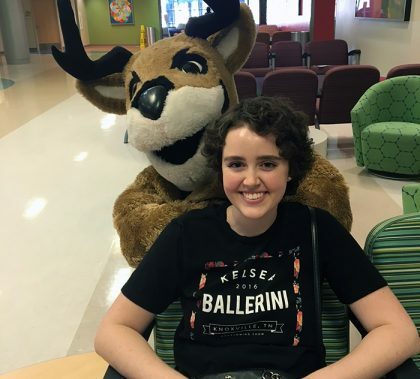 GCU News Bureau Thunder turned the charm on high during a recent visit to Phoenix Children’s Hospital’s Center for Cancer and Blood Disorders. Donning his GCU purple, he put a few smiles on the faces of patients and staff. If you’d like to help Thunder fight childhood cancer, visit Run to Fight Children’s Cancer. 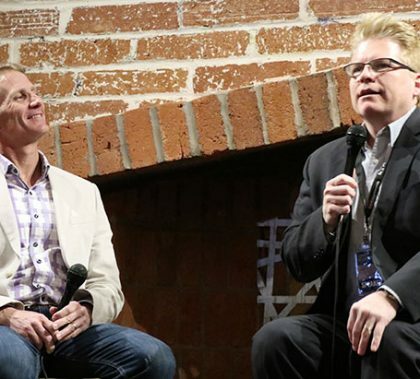 TEDx, a series of talks designed to be thought-provoking and inspirational, is coming to Grand Canyon University for the second time on Friday night, with a group of speakers who instantly connected when they met for the first time at the preview event last month. That synergy should be evident during their presentations. COE faculty Jena Akard and Lisa Bernier presented at the Arizona Department of Education’s Early Childhood Special Education Summit. Their 90-minute interactive session was titled, “Early Intervention: Improving Practices.” It took participants on a self-examination of policies and practices regarding the education screening and evaluation of students. 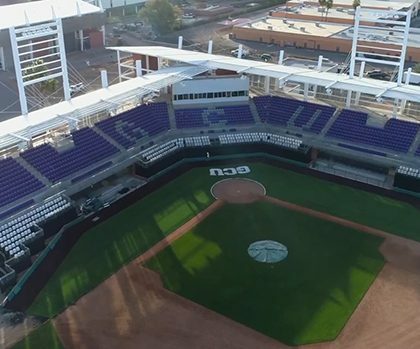 Brazell Field at GCU Ballpark elicited a ton of positive reaction — even from members of the visiting TCU team — when it officially opened Friday night. 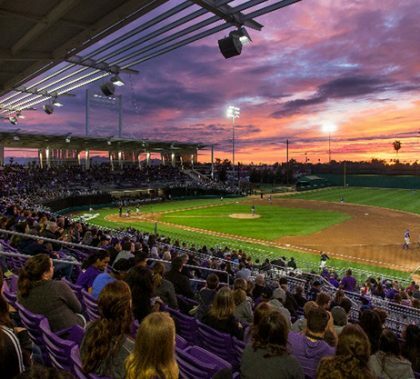 Though the Lopes lost in excruciating fashion, the stadium most definitely was deemed a winner. 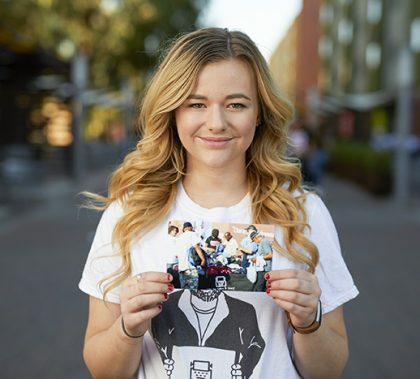 When Sydney Grover got to Grand Canyon University, she saw a perfect opportunity to follow her passion: telling the stories of homeless people. Thus was born Can You Spare a Story.